Nature’s Sunshine has harvested the most healthful fruits and natural extracts from around the world and combined them into this unique delicious, nutritious juice that has been specially formulated to neutralise excess free radicals. This unique juice blend not only tastes great but gives your body what it needs to enjoy maximum health and long-lasting vitality - not only will you feel revitalised, but these antioxidants have a powerful effect on the health of the skin helping you to look great too. 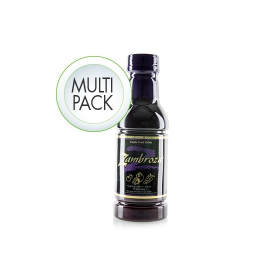 Rich in Polyphenols and Flavonoids Zambroza is proven to give unparalleled antioxidant protection. Zambroza is one of Nature’s Sunshine’s top selling products worldwide – a great tasting, synergistic blend that helps to increase vital energy and replenish the body, with no artificial colours, sweeteners or flavours. Each of the ten natural ingredients in Zambroza are high in antioxidant properties, and synergistically they provide health benefits far greater than the individual benefits of each of the ingredients. Mangosteen is one of Zambroza’s special ingredients - it contains the highest known level of Xanthones - a family of plant nutrients known to be very powerful antioxidants, and Blueberry, which is one of the richest and most easily absorbed sources of antioxidant. Add to this combination a blend of Wolfberry, Apple Extract, Raspberry, Concord Grape, Grape Seed, Grape Skin, Green Tea, and Red Berry, and you have an outstanding formula rich in Polyphenols, Xanthones and Flavonoids, that provides you with a powerhouse of antioxidants! 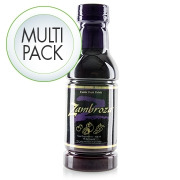 Zambroza's great tasting, daily nutrition drink can be enjoyed by the whole family, every day. The natural ingredients in Zambroza provide a superb range of vitamins and nutrients that can help the body maintain health and vitality, and help to support a healthy immune system, neutralise free radicals and replenish the body. The antioxidant properties of Zambroza’s powerful ingredients can also have a positive effect on the skin too! To find out more about this product download our factsheet below. Nutritional Information available to download below.